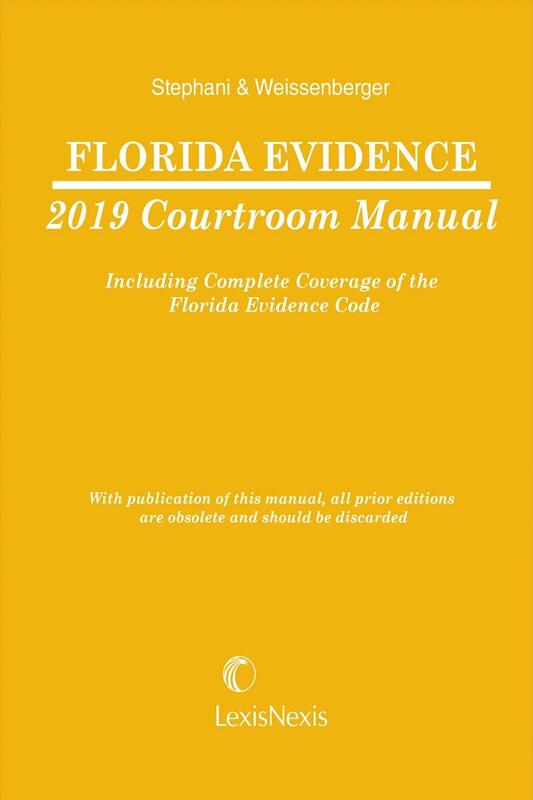 The publication serves as a concise guide to the Florida Evidence Code, in convenient paperback format for use in the courtroom. 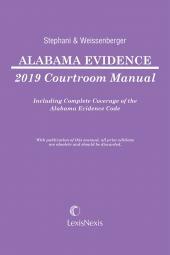 It includes the text of the code, a short analytical commentary on each code section, and a representative assortment of brief descriptions of cases interpreting each code section. 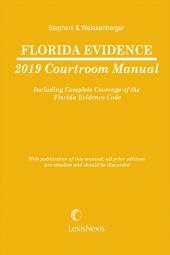 The publication is a single-volume paperback treatment of the Florida Evidence Code for courtroom use. It includes the current text of the complete Evidence Code in the front of the book on distinctively colored pages. The inside front cover constitutes a quick-reference index leading the reader to the code section that addresses a topic in question. 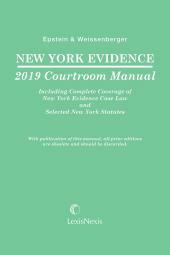 Each section is treated in a separate chapter that includes the text of that section, authoritative commentary and analysis of the section, including current trends and developments and any relevant Constitutional considerations, and brief descriptions of significant cases interpreting the section. 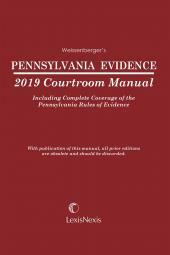 GLEN WEISSENBERGER is a recognized author and authority on evidence, civil commitment and the insanity defense. Weissenberger formerly served as Dean of DePaul University College of Law and is a Professor of Law, Emeritus at the University of Cincinnati College of Law. He holds a bachelor’s degree from the University of Cincinnati and a J.D. from Harvard University. A.J. Stephani is a lawyer in private practice in Cincinnati, Ohio. He is an Adjunct Professor at the University of Cincinnati College of Law, faculty member of the University of Cincinnati Forensic Psychiatry Fellowship, and has previously served as the Executive Director of the Glenn Weaver Institute of Law and Psychiatry at the University of Cincinnati College of Law. A.J. is co-author on over a dozen books on state and federal evidence and civil procedure law.